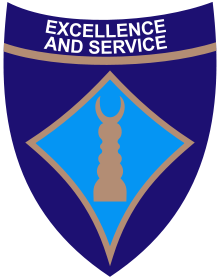 In: ABSU Supplementary Post UTME Screening Form for 2017/2018 Academic Session is Out !!! ABSU Supplementary Post UTME Screening Form for 2017/2018 Academic Session is Out !!! All Candidates who did not take the 1st Abia State University, Aptitude Test, Those who failed and those who want to improve their scores are hereby invited to register for the ABSU Supplementary Aptitude Test, irrespective of your choice of University. HOW TO APPLY FOR ABSU SUPPLEMENTARY POST UTME SCREENING EXERCISE. 1. Eligible candidates should Log on to the ABSU portalhttp://www.abiastateuniversity.edu.ng/ and generate an invoice. 5. Complete the Application Form, ensure you upload a clear passport photograph to avoid rejection of candidate and download a copy as an evidence of registration. CLOSING DATE: The closing date for the registration of the Aptitude test is Thursday 7th December, 2017. DATE OF THE APTITUDE TEST: The Aptitude Test would hold on Friday 8th December, 2017.